Dralla Recipient: Adaptive Sports Program New Mexico | Allard USA - Support For Better Life! 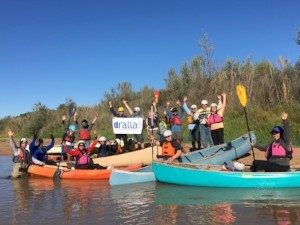 Participants in this unforgettable day will spend time on the Rio Grande River on kayaks and rafts utilizing specialized equipment. This will take place during the Albuquerque International Balloon Fiesta, which is the largest ballooning event on earth. Almost 600 hot air balloons will soar overhead, some will even dip into the river feet from the rafts!